Mark advises on tax, business, estate planning and real estate transactional matters. His practice focuses on matters involving federal and state tax law, including entity formations, joint ventures, partnership and corporate tax planning, tax-deferred property transfers, tax-exempt entities, deductible contribution of conservation easements and business acquisitions and dispositions. Mark also advises on Washington State business and occupations, real estate excise, and sales and use tax matters and handles disputes and ruling requests with the Washington Department of Revenue. Mark currently serves as outside tax counsel to several law firms in Seattle and Portland, providing tax support on transactional matters handled by those firms. His clients have also included individuals, start-up companies, public corporations, private equity funds, tax-exempt organizations, state pension funds, hospitals and real estate developers and investors. 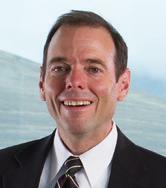 He represents many clients outside Montana, including several large public corporations. Mark also served on the faculty at the University of Washington Law School where he taught tax classes in the tax LLM program. Prior to joining Garlington Lohn & Robinson Mark practiced tax law for 16 years with large firms in New York and Seattle. Mark grew up in Missoula and is a proud graduate of Big Sky High School. His wife, Beth, is from Butte. When not in the office, Mark is likely to be exploring the mountains and rivers with his family and friends.